Stanley Schmidt, editor of Analog Science Fiction & Fact from 1978 to 2012 (with one Best Editor Hugo and many nominations), was also a writer before then and is again active as one now, and even managed to write something besides editorials occasionally while editing. The novelettes “Good Intentions” (with Jack McDevitt) and “Generation Gap” were Nebula finalists in 1999 and 2000, respectively. 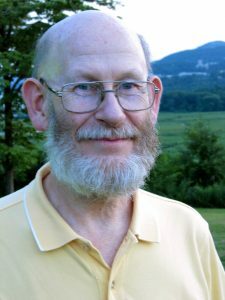 He was also the Toastmaster for the 1998 Nebula Awards (in Pittsburgh), and received the Kate Wilhelm Solstice Award in 2014.